Preheat oven to 450°. 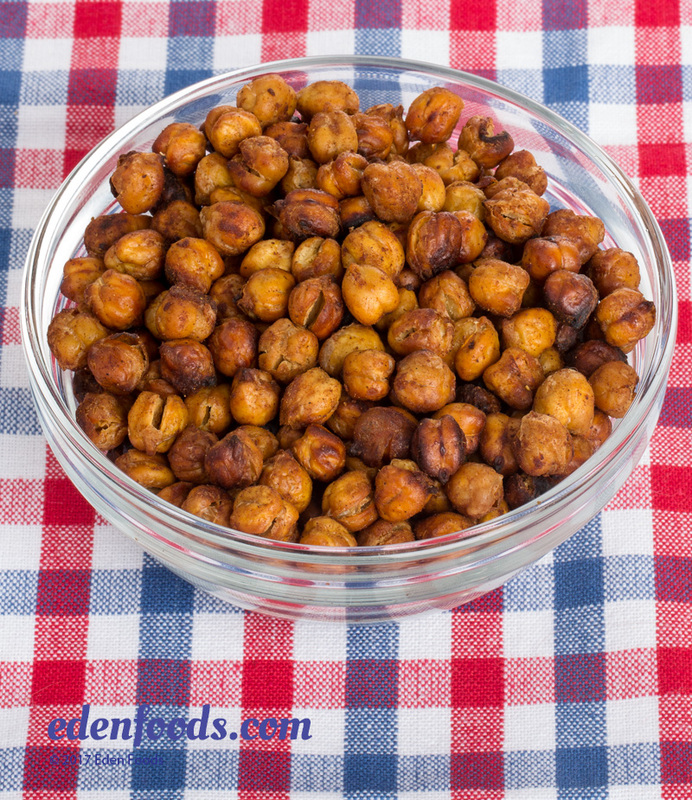 Place the chickpeas on a paper towel lined tray and pat dry to remove water from rinsing. Pick out and discard any loose bean skins. When dry, place the chickpeas on a large baking sheet and bake for 15 minutes. Remove, drizzle with olive oil, mix well, and bake another 10 to 15 minutes. Mix the maple syrup and cinnamon together and pour over the chickpeas. Mix well and bake another 10 to 15 minutes or until golden brown and crunchy. Remove and place in a bowl.